In the scenarios where borrowers fail to reimburse the loan amount to the financial institutions, it results in the repossession of these assets and the borrowers lose them to foreclosure. 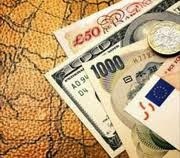 On the other hand, an unsecured loan does not require any collateral backing and is based on the credit worthiness of the borrower. However, it does have a higher rate of interest due to the risks involved. In cases when reimbursement is not provided, the lender or the financial institution opts for legal claims. This type of a personal debt requires vigilance as it has a high rate of interest. One of the main reasons for a higher interest rate is the fact that the repayment period of these loans is short. Those individuals who are borrowing the short term personal loans from online loans offering companies might be able to borrow as low as fifteen hundred dollars against these loans. Also in some cases, the financial institutions offering these loans might ask for collateral as well. Borrowers with enough equity on their homes can choose personal loans against their homes which usually have a low interest rate. The main reason for a low rate of interest is the fact that the money provided by the lender is secured through the home as an asset. However, the borrowers who have the ability to repay these loans will be able to enjoy obtaining a larger sum of money with longer payback terms, allowing them to enjoy a smaller premium amount. However, those borrowers who fail to make reimbursements will lose their homes to foreclosure. The fast cash advance loans are also unsecured personal loans that are available to borrowers who need money on an urgent basis. There are special finance institutions that offer these loans and do not require a credit check or even collateral against the loans offered. However, because of the risks involved, these financial institutions have a high rate of interest. Also, in case of defaulting, borrowers might end up paying three times the amount of the principal borrowed. These loans have to be reimbursed within a span of two weeks in most cases, but have very easy application rules. People who have no credit history often choose no credit personal loans. The financial institutions that extend these loans do not check the credit history of their borrowers. However, the rate of interest for these loans might be on the higher side. Those borrowers who are choosing these loans must make sure to read the terms and conditions thoroughly prior to applying for these loans. 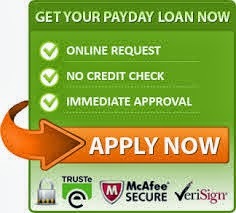 Is It Safe To Get A Quick Loan Approval Online? What the Heck Is a HARP Loan? Is 100% Financing Still Available?